Wrestling – At the start of competition all the wrestlers with the highe r title – holder in front , enter the hall in a line wearing gutuls (decorated Mongolian boots. ) and hats and their wrestling costumes called “zodog”(an open fronted , long sleeves vest of silk) and “shuudag”(tight short trunks ). There are many different titles for the wrestlers such as Titan (avarge), Lion (arslan). Zaan and Falcon. All the names signify strength. 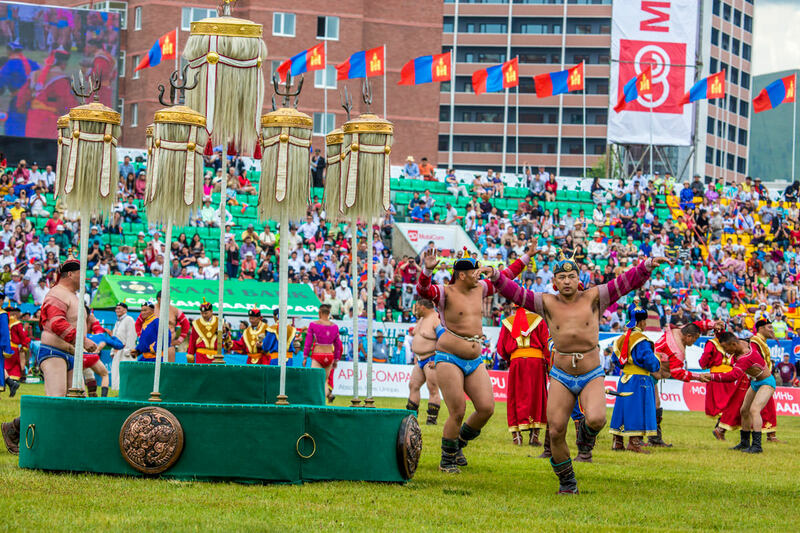 Titles are mostly confirmed during the national festival Naadam. A wrestler who wins five fights in succession during one competition has the right to have the title of Falcon, and if he wins seven fights in succession Elephant. When a wrestler wins all the fights in a competition during one of these festivals he will be a Lion. If he wins a subsequent year he merits the title of titan, the highest rank. There is a variety of throws used to defeat opponents. Some say there are hundreds of them. When the wrestling arena or step onto the carpet in the case of an indoor competition and the second take off the wrestler\'s hats. When a wrestler touches the ground with any part of his body other than his feet and arms, he is considered to be defeat. 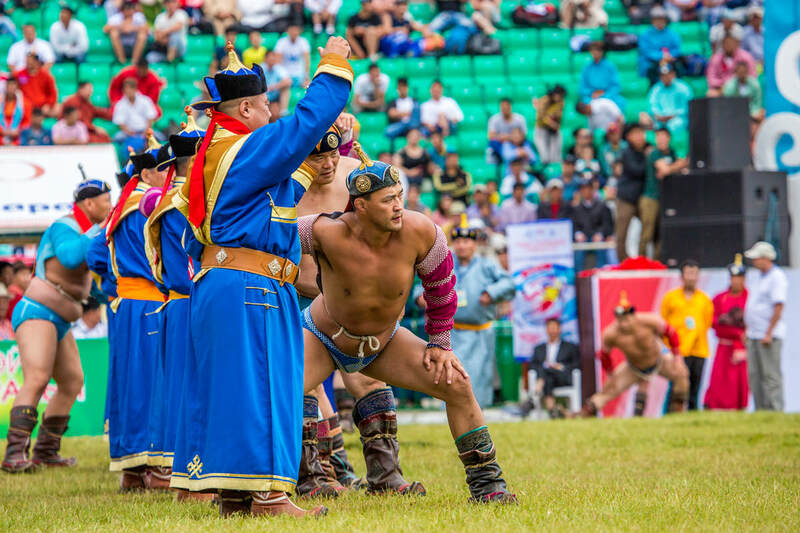 The main difference between Mongolian national wrestling and international free style wrestling is that the weight category of wrestlers is not taken into consideration. Horse racing. Mongolian people have loved horse racing since time immemorial. A whole system for conducting the contests has developed over the centuries. In the races held during national festivals, including Naadam, participants are six age groups and the distances range from 15-30kms. No special tracks are prepared, the horses covering the distance in the steppe and jumping over natural barriers. Before they start the riders sing an ancient war-like song – Giingoo. The competitors start at the finishing line and at the signal to start and back to the finish line. Thus the distance is actually doubled. The horse racing can be held on saddled or unsaddled horses. Horses of two years older take part. The winner is honored with a cup of airag which he drinks and sprinkles on the head and croup of his horse. After the races, praise-singer extols the best riders and their horses. Archery: the third element of the national games is archery. Five lines engraved on an ancient Mongolian target immortalize the phenomenal record of Yesuhei Hero, saying that his arrow hit the target at a distance of 536 meters. The bow is an ancient invention going back to the Mesolithic Period. Ancient Mongolians made their contribution to the design of the bow as a combat weapon. Today Mongolian\'s use less complicated form archery than in ancient time; the target is “wall” made of cork cylinders braided together with leader straps. It is four meters long and 50cm high. The target is placed on the ground at a distance of 75 meters for men and 60 meters for women. In the past Mongolians used three types of bows; “big hand” (165-170cm),”average hand” (160cm), “small hand” (150cm). Today Mongolian\'s mostly use the average hand bow which requires a force of 22 to 38kg to draw it. Arrows are usually made from pine wood and had feather fins which help the arrow to reach distance of 900 meters. Naadam archery also attracts individual archers as well as Teams of 8-12 people. Every male archer has forty arrows to shot at each target. The judges dressed in national attire, stand by the targets with hands held up after the arrows have been shot. They praise the best shot in a drawing recitative voice. The contests are accompanied by colorful national rites. Before the competition starts you hear the recitative song “uukhai”, calling on the archers to be good marksmen and hit the target. The training of the future eagle-hunters sets in at a very early age. Boys under ten are initiated to the art and science of falconry by their father or grandfather, usually not starting right out with an eagle, but beginning with a smaller bird of prey. Adult falconers use the golden eagles native to the region. A tamed eagle can live up to 32 years in captivity, but as a rule, the birds are set free again after a few years hunting. A full-grown golden eagle has a wingspan of about two meters, and a weight of between six and twelve pounds. 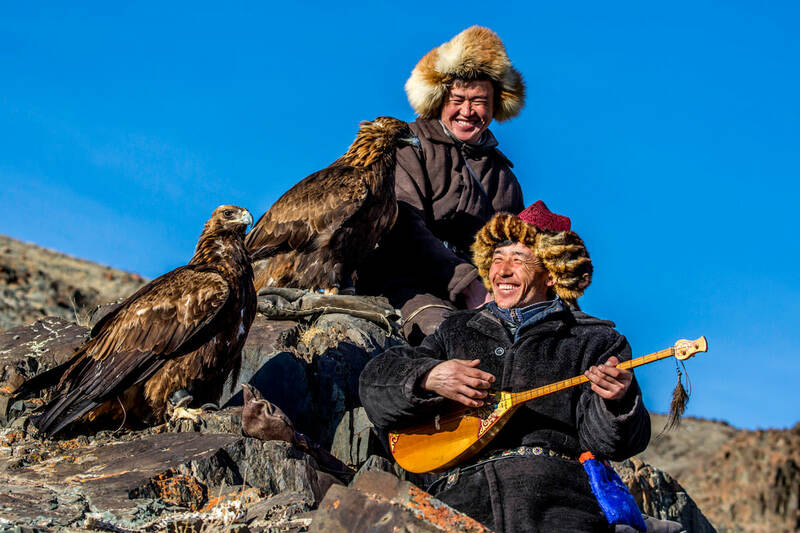 The falconers normally live as nomadic cattle breeders for most of the year and hunt only in winter. Their eagles are trained to catch small game such as hares or foxes, but they are known to kill even small wolves now and again. In the tournament, the eagle-hunter has to perform three tasks. At first, the mounted falconer must call his bird from the top of a hill to settle on his arm. Then, the eagle has to hunt for hides drawn by a running horse. At last, the bird must catch a live animal typically a fox. The participants are judged not only by their skills in the art of eagle-falconry, but also by the finery of their attire, the glove, harness and bird’s hood made from deer hide, as well as the traditional hunting dress. 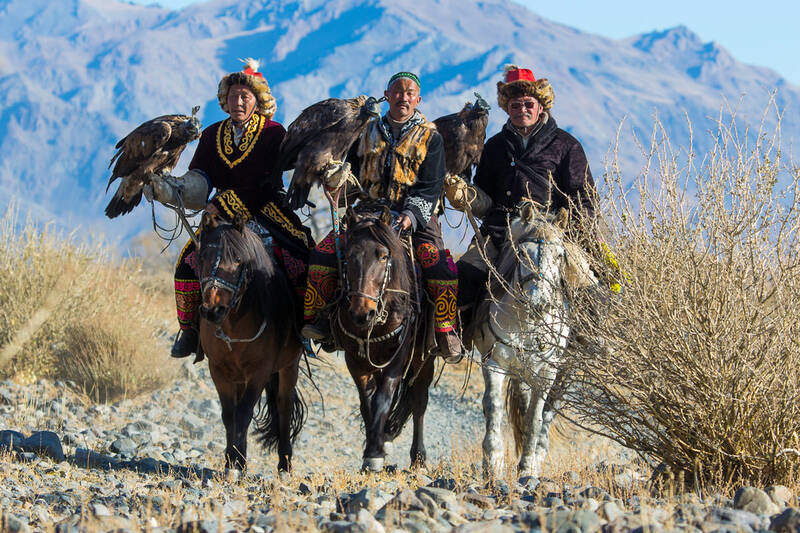 After the falconry tournament, the men engage in rider’s games, like plucking a flower from the back of a running horse, or the traditional “buzkoshi”. In this central Asian sport sometimes said to be the origin of polo several riders fight for the possession of a dead goat. Horse races and archery tournaments round off the festival. Although it’s a long way from Ulaanbaatar, the trip is well worth it. There is no other place on earth where you can see so many golden eagles at close range. A project named "Hospitable Ulaanbaatar" has been successfully implemented in Ulaanbaatar during the past two years with the purpose of making the city the center of regional tourism. In the framework of this project, the "Danshig" Naadam and the "Khuree Tsam" religious festival are organized with the collaboration of the Gandantegchilen Monastery, Governor's Office of Ulaanbaatar, and Ulaanbaatar Tourism Department to take place between the 6th and 7th of August. 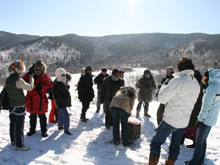 This cultural and religious event is held for two days at Khui Doloon Khudag which is located southwest of Ulaanbaatar. The purpose of this festival is to provide tourists with cultural events during the tourist season, support the tradition and culture of religion from the state, maintain religious rituals and cultural heritage, and promote them to the public as well as worldwide. The Danship Naadam Festival is connected to the history and practice of Buddhism in Mongolia. It represents a symbolic demonstration of unity as well as a religious event for the Khalka Mongols. The first Danshig Naadam Festival was dedicated to Zanabazar in 1639 when he was identified at the reincarnation of Bogd Javzandamba at the age of 5. The second Danshig Naadam was held in 1921 during the reign of the 8th Bogd Javzandamda, the last Khan of Mongolia, in commemoration of the end of the Manchu Empire. The festival was a demonstration of Mongol unity and symbolized Mongolian independence from the Manchu Empire. Mongolians stopped celebrating the religious festival in 1922, but it was revived in 1995 in commemoration of the 380th anniversary of Zanabazar's birthday. The main element of the festival is the "Tsam," a religious dance that was introduced by the Tibetans in the early 18th century. The "Tsam" is a complex ritual performance which is a combination of music, dance, and the intricate masks worn by the dancers. This is our country's most significant religious festival and consists of special chants, a ceremony to welcome the state flag, the "Tsam," the three manly games (wrestling, horse racing, and archery), knuckle shooting contest, several competitions among the monks, musical performances, and a tourism fair. 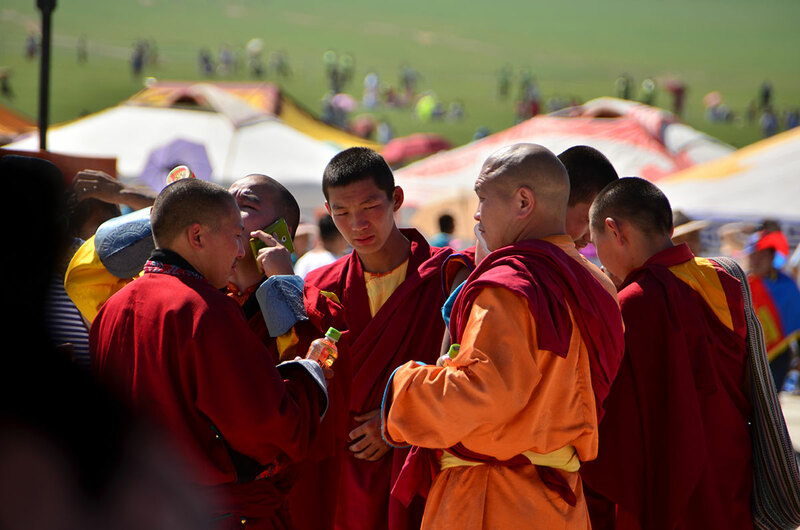 This event begins on August 6th in Chinggis Square with over 500 monks chanting for the well-being of the Mongols. The chanting continues from 6 a.m. to 6 p.m. The Danshig Naadam is an interesting event for those who may have missed the State Nadaam Festival. Although it is a smaller pesentation of the three manly games, 200 - 250 wrestlers participate in the wrestling tournament and approximately 190 participants from 23 teams compete in the knuckle shooting contest. Several horse races, including races for mature as well as amber horses, are held at Khui Doloon Khudag. Each February, or at the beginning of March, the residents of Huvsgul Lake and the Tsaatan people enjoy celebrating the Ice Festival. They take part in different activities and competitions, namely, Ice Sumo, ice skating, sleigh rides, and ger building using ice. The festival takes place on or by the shores of Lake Huvsgul. The two-day festival provides opportunities to see a shamanist offering ceremony and to observe the lifestyles of the Tsaatan people. 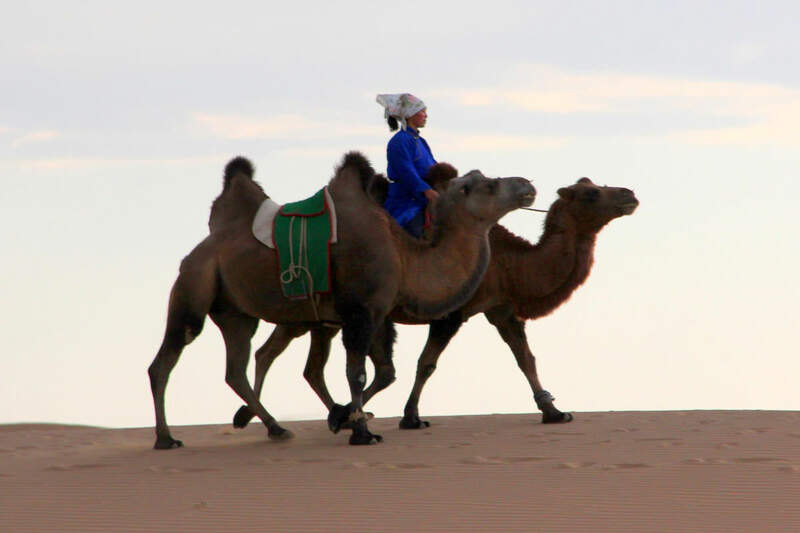 Mongolians refer to this as the “Thousand Camel Festival” and it is a celebration of the “Bactrian” (two hump) camel. Many camel herders gather to compete in camel races and polo matches. The festival opens with a parade led by a camel. The parade is followed by traditional music and dances. 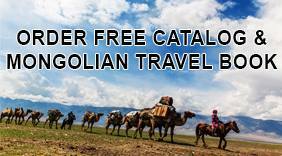 It is a great opportunity to explore the camel herders' nomadic way of life. The festival takes place on March 6 - 8th in South Gobi province. Only China has more yaks than Mongolia. 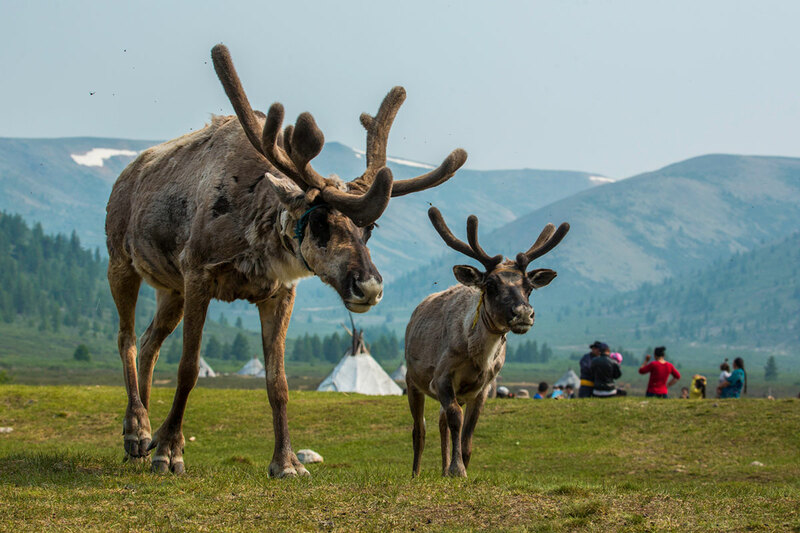 The yak festival takes place in July in the central and northern provinces of Uvurkhangai and Arkhangai where the majority of Mongolia's yaks can be found. A variety of events takes place during the festival including yak racing, yak lassoing, and yak polo. Yak racing is probably one of the slowest racing competitions. 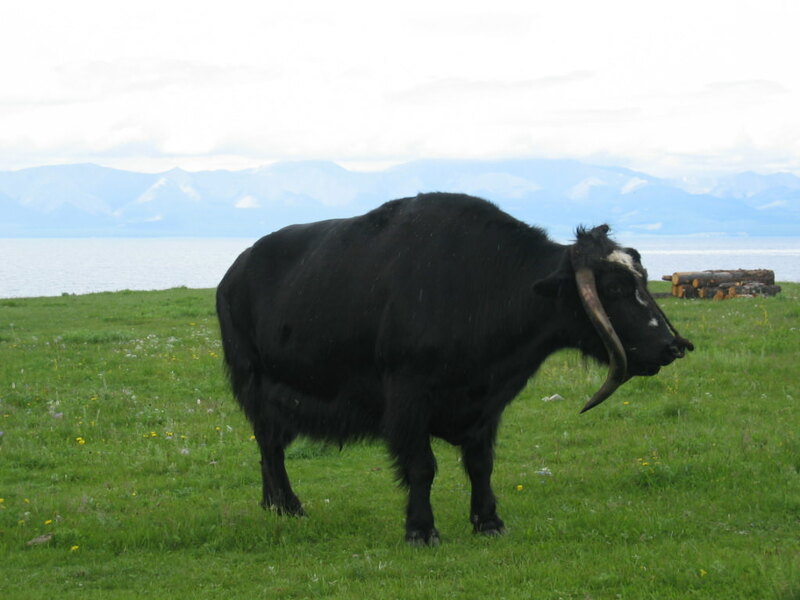 Most yaks just walk or trot over the finish line instead of running. Yak lassoing is an entertaining competition. After the yaks are scared into running, men try to lasso them. Tourists enjoy watching yak polo as untrained yaks run while riders try to hit a ball with a hammer. Many awards are given to yak herders such as “The Best Yak Bull,” “The Herder Family with the Best Yak Herd,” “The Herder Family that Prepared the Highest Amount of Combed Yak Down,” “The Herder Family that Prepared the Best-Quality Yak Dairy Products,” “The Best-Decorated Yak,” and “The Best Handcrafted Products Made of Yak Raw Materials.” The awards are presented by domestic companies. 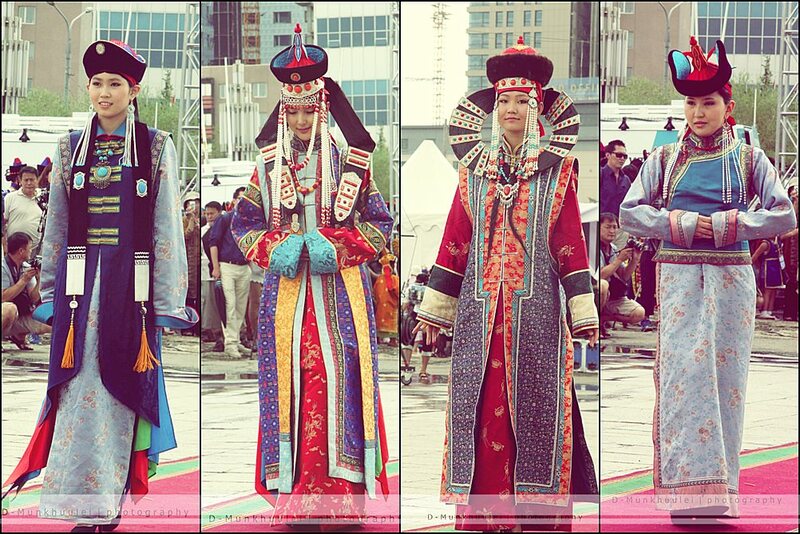 Mongolians celebrate the traditional costume show each year in July following the Naadam, The Three Manly Games. People of all ages, including the elderly and young children, wear a variety of deels with different colors and designs. 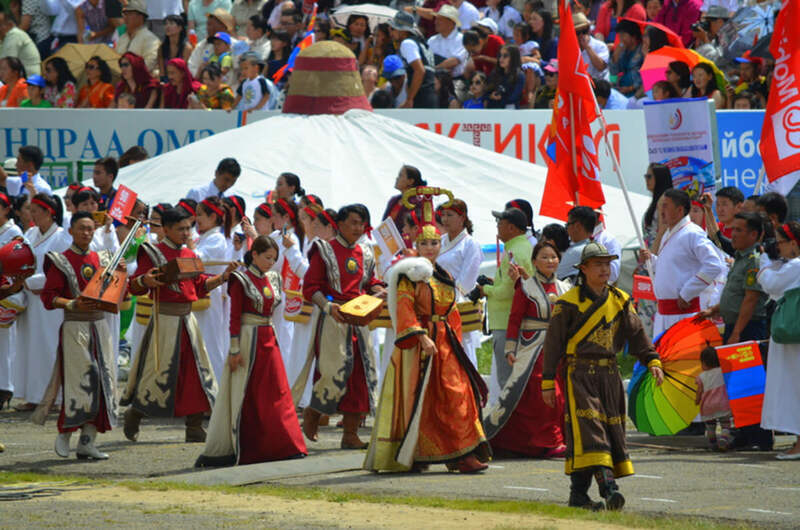 Participants representing each district of the city of Ulaanbaatar go on parade in the main square of Chinggis Khaan to compete against each other. Taking photos with the participants can be a joyful experience for foreign visitors. Tsagaansar or White Month is one of Mongolia’s two major and long awaited holidays, the other being Naadam in July. Tsagaansar or White Month, the first month of spring, has been one of the most important celebrations of the Mongols for thousands of years. This is a time of the year when the winter passes away and the spring comes in. Tsagaansar is a festival of white food (food with white color – milk and diary products, fermented mare’s milk etc.) Tsagaansar represents a heartfelt spirit of people. On this day, people clean their body and mind from all bad things and start a new fresh clean life. Tsagaansar is the day when people express respect to elder people and relatives, renew friendship and sympathy to each other and reconfirm family ties. Since the holiday means all relatives, neighbors, friends and guests will be treated to a lavish meal, women make more than a thousand or two buuzand dumplings. Ready dumplings are lined on wooden plates and put outside. The next day, frozen buuz are ready to be steamed. Families all across the country stock-up on food, diary products, mild milk vodka and other specialties for the occasion. The Tsagaansar eve or the last day of winter is called “Bituun”, which means “full darkness” it is a single night when no moon is invisible in the sky. Beforehand, all the business of the past year must be wrapped up; debts paid and good relations restored. All the Bituun ceremony is supposed to start when it gets dark outside. 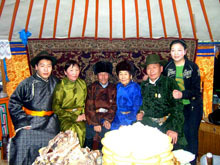 The Bituunis mainly celebrated in close family. In the evening, all the family members gather, the women start to set the table. With the sunrise, the greeting ceremony starts inside the family. 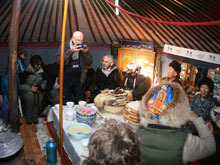 The oldest person stays in “Hoimor” (ger’s northern side, the most respected place) and younger family members greet him or her first and then greet each other. The younger greets the older by extending arms with the palms up and holding the elder’s elbow from underneath. This greeting is called zolgoh. Everybody greets each other except husband and wife, because they are believed to have become one person. Usually, people hold “Khadag” (holy scarf of blue silk with a spiritual meaning) in their arms. All of the first month of the New Year is considered a holiday and the visits and congratulations continue. It is necessary during that month to visit parents no matter where they live. When the greeting ceremony is over, everyone sits behind the table and men starts exchanging “Khoorog” (a snuff bottle made usually semi-precious stone and filled with finely pulverized tobacco). The typical greeting words are “Daagadalantai, byaruubulchintai, sureg mal targanorovuu?” which can be translated as “Does your 2 year-old horse have enough fat on the wither (means good health) does your 2-year old yak have enough muscles (means good power), “did all your animals pass winter safety?” and “Sarshinedeesaihanorovuu? Nassuuderhedhurev?”, which is used to ask an old person about her/his good health and age as people are proud of old age. Exchanging Khoorog means expressing friendly intentions to each other and is usually the starting point of introducing a stranger. Exchanging Khoorog creates a warm atmosphere between people and makes the start of a friendly talk that helps to learn the true heart of the stranger.